Falkland Palace & Garden provides a unique opportunity to explore a royal ‘pleasure palace’ with a Victorian twist. Inspired by the grand châteaux of France, in the 16th century James IV and his son, James V, transformed this favoured retreat of the royal Stuarts – the palace became one of the finest examples of Renaissance architecture in Scotland. 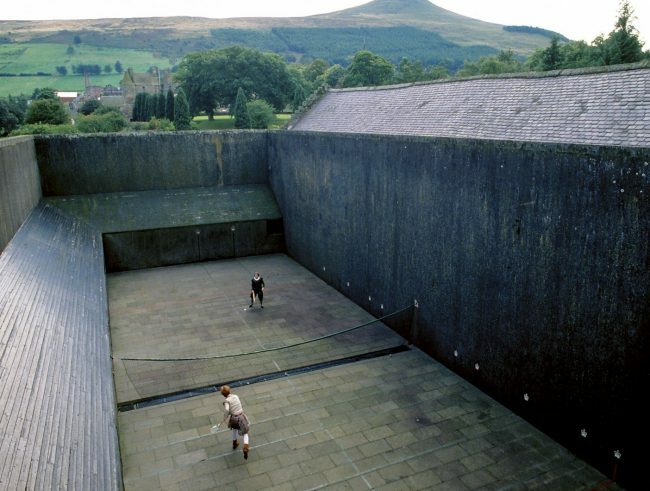 One of Falkland’s most famous royal residents – Mary, Queen of Scots – was enchanted with the palace, and took advantage of Falkland’s vast estate to pursue falconry and hunting, while also enjoying a game of tennis in what is now the oldest surviving real (or royal) tennis court in the world. Today, visitors can wander through our historic orchard, complete with a living willow labyrinth, and marvel at the beauty of our formal gardens designed by Percy Cane. Although it fell into disrepair after 1660, Falkland Palace was saved from ruin in the 19th century by the 3rd Marquess of Bute. Innovative and passionate, Bute gave the palace a new lease of life. Intricate wood-panelling, impressive painted ceilings and beautifully carved furniture provide a visually stunning insight into Bute’s artistic vision, showcasing his respect for the palace’s Renaissance roots.